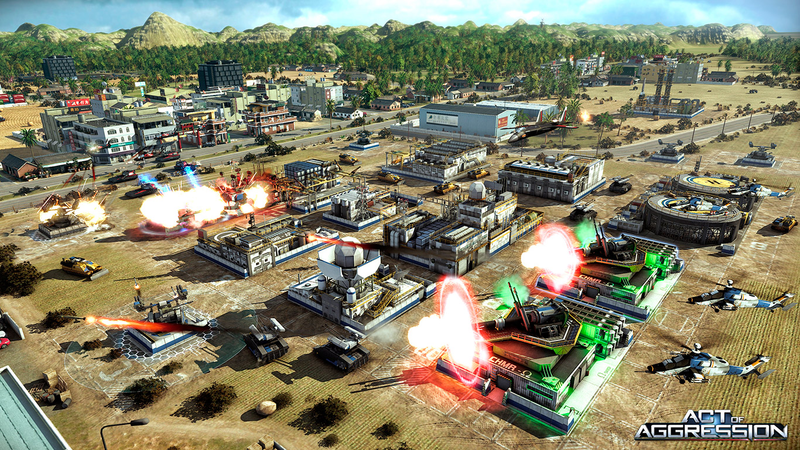 Act of Aggression – Eugen Systems’ new RTS – launches multiplayer pre-order beta today. Players who have pre-ordered Eugen Systems’ explosive new techno-thriller RTS, Act of Aggression, will soon be able to launch and play the exclusive pre-order beta. The Chimera and US Army will be pitting it out in multiplayer, skirmishes vs the AI, or cooperative ‘comp-stomps’ beginning on Thursday at 6pm GMT+2/9am PST/12pm EST for a first taste of what’s to come in Act of Aggression. Discover below new screenshots of what awaits you in the game! To be part of the beta, players just need to pre-order Act of Aggression from Steam, at the special discount price of 15% off during the pre-order phase. During beta, new maps and the remaining faction, The Cartel, will be rolled out. Today, they’ll be hosting a special live-stream to kick off the event, starting at 7:15pm GMT+2/10:15am PST/1:15pm EST featuring Eugen Systems’ co-founder and Creative Director, Alexis Le Dressay. Learn about Act of Aggression and how it hails from ‘the Golden Era of RTS’ during this stream, and get a chance to have your questions answered by the man himself. Pre-order now and play before the official launch date of September 2, with a 15% discount right the way up through to launch.